Must Do May Do Organizers are the perfect way to increase independence during literacy centers. 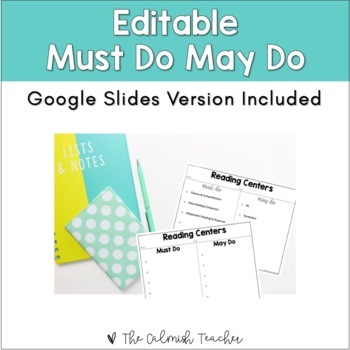 This free resource includes 4 editable must do may do charts. I currently use these during my guided reading block in my 4th grade classroom. If you're interested in learning more about literacy centers and utilizing must do may do lists in upper elementary - check out this post.